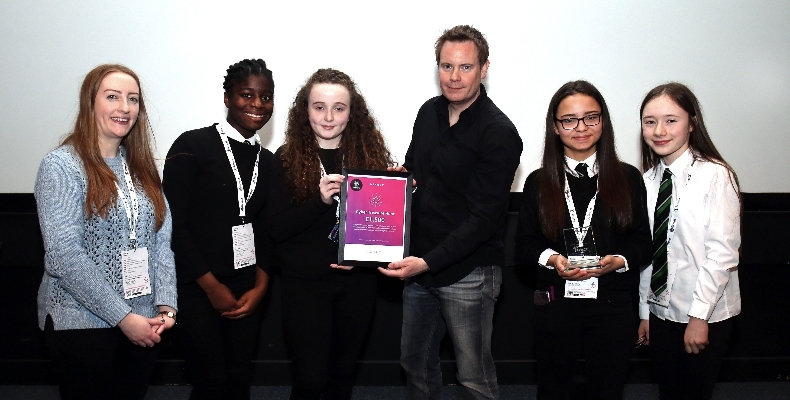 A team of S2 students from St Kentigerns Academy in Scotland are celebrating the win of £1,500 in DataFest’s national data science competition. The girls, aged 12 and 13, formed their team, Turing’s Testers, to enter the Cyber First Competition earlier this year. They then went on to take the overall winning score across four different workshops throughout the day at DataFest. The workshops included projects on solving online cyphers to stop a virus infecting a hospital network, and coding their own Fitbit. The team collected their prize at DataFest’s Women in Data Science event on 11 March. Toni Scullion, computing science teacher at St Kentigerns Academy, and founder of girls coding initiative Dress Code, said: “It was an amazing event that left the girls inspired. What made this event really special was that it was true collaboration of industry and education, a bridge that needs to be strengthened. DataFest is a two-week festival of data innovation in Scotland, run by big data company The Data Lab. Now in its third year, the festival is running from 11–22 March 2019, and includes six events across Scotland. How risk-proof are your school’s IT systems?